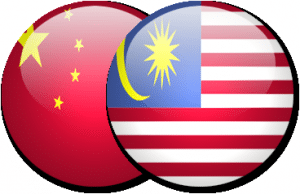 KUALA LUMPUR: Technology incubator Asia Bioenergy Technologies Bhd (AsiaBio) plans to explore opportunities with three Chinese companies to form a partnership to produce and export halal-certified food products to the global marketplace. In a filing with Bursa Malaysia, the company said its unit Asiabio Capital Sdn Bhd had inked a memorandum of understanding (MoU) with Hong Kong YRZC International Group Co Ltd, Shan Xi Hong Hui Food Limited Liability Co (SXHHF), and Shan Dong Wang Jia Yuan Zi Halal Food Brewing Co Ltd (SDWJYZHFB) to achieve that. AsiaBio said among the proposals were for Asiabio Capital to act as a global halal-certified food product channeling centre and regulation body for food product development and quality, while ABC would appoint YRZC as an exclusive business development agent in China. Under the MoU, Asiabio Capital and YRZC agreed to accept the products of the other two Chinese companies and assist YRZC to apply for halal-certified licence from the Malaysian Islamic Development Department (Jakim) on their behalf. YRZC will also be appointed to assist SDWJYXHFB and SXHHF by supplying the project planner, marketer, and technical optimisation team. YRZC is a Hong Kong-based company involved in film and television production, Chinese heritage culture industry development, urban and tourism planning, environmental protection project, energy research and development, brand marketing and promotion, celebrity agency, yacht customisation, and construction. SDWJYZHFB, located in Shandong, China, is mainly a halal food brewing company with jujube vinegar as its main product. SXHHF in Shaanxi Weinan City is engaged in baked goods, sesame seeds, bakery flours and sugar production.